Research Interests: Immigration and Migration, Economics of Education, Urbanization, Labour Economics, Economic Development Econometrics and Economic Modeling. Bilesha is currently a Research Fellow, attached to the Labour, Employment and Human Resources Development unit at the IPS. She is also serving as an International Consultant to the Asian Development Bank, Philippines. Previously, Bilesha was a Postdoctoral Research Associate at Princeton University, New Jersey, USA. Prior to moving to the United States, she worked at the IPS and at the University of Colombo, Sri Lanka. Bilesha’s research interests include internal and international migration, urbanization, economics of education, labour economics, economic development, econometrics & economic modeling, and economics of sports. Bilesha holds a BA in Economics from the University of Colombo, Sri Lanka, an MA in Economics from Rutgers University, USA and an MPhil and PhD in Economics from the City University of New York, USA. Member of the Programme Advisory Commitee (PAC) of the Ministry of Foreign Employment for “Promoting Decent Work through Good Governance, Protection and Empowerment of Migrant Workers: Ensuring the Effective Implementation of the Sri Lanka National Labour Migration Policy”. Weeraratne, B & Chin, B. (2018). Can Khan Academy e-learning video tutorials improve mathematics achievements in Sri Lanka? International Journal of Education and Development using Information and Communication Technology, 14(3). 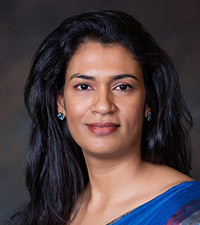 Bilesha Weeraratne (2018). Linkages in Climate Change, Migration and Remittances in Sri Lanka, in State of the Economy 2018, Institute of Policy Studies of Sri Lanka. Institute of Policy Studies of Sri Lanka (2018). Recruitment Intermediaries in the Foreign Employment Industry in Sri Lanka 2018. International Organization for Migration. Weeraratne, Bilesha. (2018). Regulating Sub Agents for Better Migration from Sri Lanka. Labour Economic Series No. 21. Institute of Policy Studies of Sri Lanka. Weeraratne, Bilesha. (2018). Migration and Development – Role of Remittances in Routledge Handbook on Handbook on Migration and Globalisation edited by Triandafyllidou, A. Routledge. Weeraratne, Bilesha, Wijayasiri, Janaka, and Jayaratne, Suwendrani. (2018). Cost of Low-Skilled Migration to Saudi Arabia, South Korea and Malaysia: Value Chain Analysis – Sri Lanka. Labour Economic Series No. 20. Institute of Policy Studies of Sri Lanka. Weeraratne, Bilesha. (2018). Labour Issues of Tea Plantations in Sri Lanka, in Wijayasiri, Janaka, Arunatilake, Nisha with Kelegama, Saman (ed). Sri Lanka Tea Industry in Transition: 150 Years and Beyond. Institute of Policy Studies of Sri Lanka. Bilesha Weeraratne (2017). Profile of Urban and Rural Population in Sri Lanka: Alternative Estimates. Downloadable Datasheets Published by the Institute of Policy Studies of Sri Lanka. Bilesha Weeraratne (2017). Sri Lanka Global Compact on Safe, Orderly and Regular Migration – National Consultation Outcome Report. International Organization for Migration and the Ministry of Foreign Employment. The Future of Labour Migration from Sri Lanka, Research Papers, National Symposium of Labour and Employment 2016, Ministry of Labour and Trade Union Relations. Weeraratne, Bilesha, 2016, Re-Defining Urban Areas in Sri Lanka. Working Paper Series No. 23, Institute of Policy Studies of Sri Lanka, Colombo. Weeraratne, B. (2016). Protecting the Welfare of Children and its Causal Effect on Limiting Mother’s Labour Migration, in International Migration, vol 54. No 5. Kelegama, S and Weeraratne, B. (2016). Migration and Economic Remittances: Impact on Development, in Routledge Handbook on Immigration and Refugee Studies edited by Triandafyllidou, A. Routledge. Weeraratne, B. (2014). Female Domestic Workers in the Middle East : Does Recruitment Through an Agent Minimize Vulnerability ? Published under the Labour Economic Working Paper Series No.18 of Institute of Policy Studies of Sri Lanka. Weeraratne, B.(2014). A Micro Analysis of Contextual Determinants of Labor Migration in Sri Lanka, in Migration and Development, Taylor & Francis Group, UK. Weeraratne, B. (2012). Essays in unauthorized immigration and migration. City University of New York. ProQuest Dissertations and Theses, 130. Weeraratne, B & Hasebe, T. (2011). Intergenerational Dynamics in Agriculture as an Economic Activity. In W. Wimalaratana (Ed. ), Agriculture and Rural Development in Sri Lanka, University of Colombo. Weeraratne, B. (2011). Solving the Forward Discount Bias Puzzle in a Small Open Developing Economy: Evidence from Sri Lanka in South Asia Economic Journal, Vol. 12 No. 1., SAGE Publications, New Delhi. Weeraratne, B. (2005). Book Review of ‘Future Directions of BIMSTEC towards a Bay of Bengal Economic Community’ in the South Asia Economic Journal Vol. 6 No.1 January-June 2005. Weerakoon, D, Weeraratne, B. & Thennakoon. J. (2005). Multilateral Agreement on Trade Facilitation: An Important but Complex Agenda for South Asia, inSouth Asian Positions in the WTO Doha Round: In Search of a True Development Agenda, Jaipur, CUTS International. Weeraratne, B. & Kelegama, S. (2005). Trade in Textiles and Apparel in South Asia, in South Asian Year Book of Trade and Development: 2005, CENTAD, New Delhi, India. Weeraratne, B. (2005). Labour Standards and International Trade: The Case of EU GSP Concessions to Sri Lanka, Working Paper Series of the Institute of Policy Studies, Sri Lanka. Weeraratne, B. (2004). Textile and Apparel Industry in Sri Lanka: An Empirical Analysis in a Globalization Setting (2004). published under the Working Paper Series of the East-West Center University – Hawaii, USA. Recruitment Intermediaries in the Foreign Employment Industry in Sri Lanka. South Asia Regional Symposium on ICT for Education. Partner Exchange Platform on Ethical Recruitment. Lowering the Costs of Migration. At the National Consultation Prior to 9th Global Forum on Migration and Development at OZO Hotel, Organized by the ILO and the Ministry of Foreign Employment. Does Past Unauthorized Immigrant Status Result in a Wage Penalty for Legalized Immigrants? Where Do Migrant Workers Fit in Sri Lanka’s Population? Restrictions on female migrant workers discriminatory or improving family wellbeing? Text-bombs of unsolicited promotional messages: Do consumers have control over their personal information? Unsolicited promotional messages : do consumers have control over their privacy? Sri Lanka’s election pledges : do we really need that many new jobs? Can we produce better estimates of urbanization in Sri Lanka?